Till as late as the early 1900s new kingdoms/countries were still emerging all over the globe and international borders were fluid and not quite yet clearly demarcated. 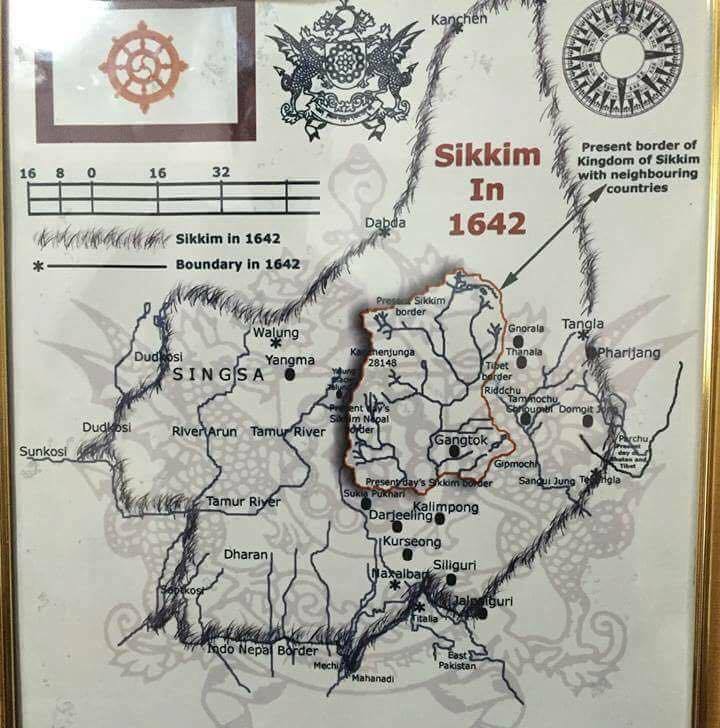 What historians today state were the territories of the Rajah of Sikkim i.e. all lands in the plains and the mid-hill Ilam regions between the Mechi, Mai, Puwa Mai (also called Kankai Mai) and Deo Mai was called the Char Khola (Land of the Four Rivers) were actually claimed by both Sikkim and by the Limbu chiefs whose domains were not yet then part of the Gorkha Kingdom of Nepal. The Gurkhas attacked Sikkim again in 1884 and reached as far as Rabdentse, looting the Pemayangtse Monastery of all its treasures. Not surprisingly the British were scheming to do exactly the same thing and in May 1774 they ordered George Bogle, to establish contact with Lhasa. Bogle travelled as far Shigatse but was prevented by the Panchen Lama from proceeding any further. Tibet took steps to pre-empt any Gorkha move against Sikkim in the Pallo Kirat, sending down an 18000 strong army under Depon Petsal. So in August 1775, a treaty was concluded between Tibet and Nepal at the Wallung Pass. Upon the recommendations of David Scott, the English Collector of Rungpore, 7th Chogyal Tsugphud Namgyal (1785-1864) had deputed a Kummoo Pradhan as his tax collector for Morung, but the fellow absconded with the revenues and despite all efforts, the Rajah could never catch Kummoo. The Gorkhas continued pushing eastward and by 5th October 1774 reached Islimbar and Chyanthapu north of Falut (near Sandakphu) in Darjeeling. Be the first to comment on "The Gorkhaland Movement Of June 2017: A Darjeeling Perspective"